“Open booking”, “invisible spend”, “leakage” — these are terms that cause travel managers to break out into cold sweats. And with good reason: employees who book outside the “managed” travel system miss out on negotiated rates, quietly slip through the travel policy cracks, or find themselves out of luck when SHTF. Combating this has always been hard, and the explosion in “unmanaged” travel options hasn’t helped. In fact, it’s steadily increased the temptation for employees to go rogue, making it harder than ever for travel managers to provide control travel spend and execute on duty of care obligations. Thankfully, help is on the way. Connect your company’s Expensify account to your managed travel provider, such as NexTravel, Egencia, Locomote, nuTravel, or more. This will cause receipts for all travel booked within the corporate tool to appear automatically inside the purchaser’s Expensify account, linking seamlessly with any corporate card program you might already have in place. 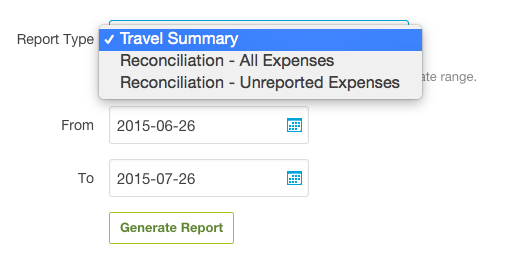 Instruct employees to forward all itineraries to receipts@expensify.com. Expensify Trips will automatically read the detailed travel data from the email itineraries, providing employees with flight reminders, live trip updates, and a dedicated mobile view for fast lookup of key data while on the road. 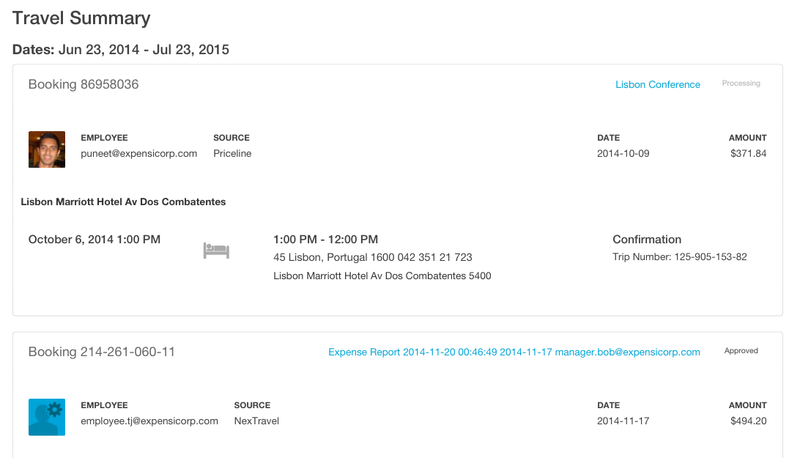 Second, notice that each booking links directly back to the expense report on which it was submitted — if any. Of course, this is just a very brief example of how to do a simple consolidated summary report. Please contact sales@expensify.com to discuss how this can be customized for the unique travel needs of your business. The days of fearing and resenting unmanaged travel are, if not over, at least coming to a close. New tools exist to give travel managers the visibility they’ve always wanted, without compromising the open choice that employees insist upon.